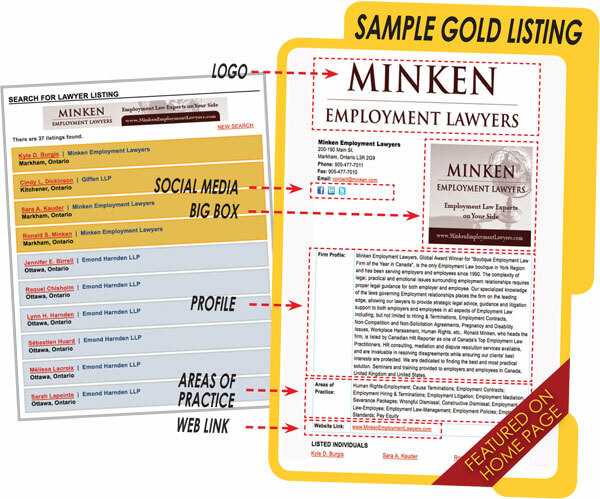 Get an advanced look at the new approach to profiling the legal community with a Law List that can enhance your visibility and help you attract more work. It's not who you know... it's who knows you! Our new and expanded listings offer more information on the professional qualifications of individual practitioners, law firms and in-house counsel. 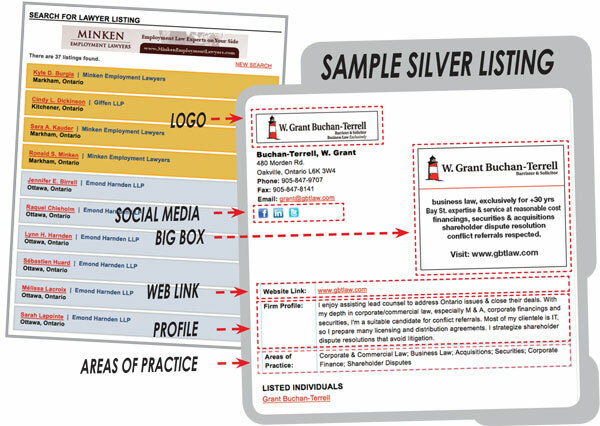 Even now, we have expanded the value of the Canadian Law List by enabling purchasers and referrers of legal services the world over to have on-line access to an up-to-date version of the Canadian Law List via the Internet. For you, this will be an excellent opportunity to get more information about your practice in front of potential clients and colleagues. FOR MORE INFORMATION CONTACT COLLEEN AUSTIN AT? only $1060 FOR A FULL YEAR!